Continue to share the petition to the USPTO to revoke the trademark. We’d love to see co-ops and health food stores across the country carrying a large selection of LOCAL Fire Ciders! Live in Alabama? Why should your Coop carry a Fire Cider from Massachusetts? 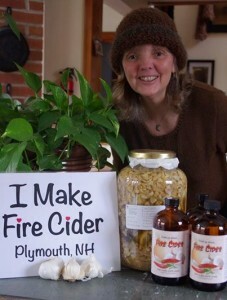 And if you live in MA, your Co-op could carry Fire Cider made right in the very same town! Check out this page for more information on how to get your very own small batch Fire Cider to market! Contact your local stores to inform them of your thoughts on this issue. You’ll find resources to help you do that here! We are asking people to continue to communicate their concerns in a direct and respectful manner. Please submit responses you get from the stores you contact here. Love to Write (or use YouTube, or any other medium! )?